New York — The Committee to Protect Journalists protests Ethiopian authorities' transfer of independent newspaper editor Woubshet Taye to a remote prison several hours away from his family's home. Woubshet has been imprisoned since June 2011 on vague terrorism charges that CPJ has determined to be unsubstantiated. Reporters Without Borders is shocked to learn that another journalist has been killed in the Somali capital, Mogadishu. It was Mohamed Ibrahim Rageh, who worked for Somali National Television and Radio Mogadishu, which are both state-owned. Two gunmen trailed him home and shot him yesterday evening. "The supposed improvement in security in Mogadishu is for the time being still very fragile," Reporters Without Borders said. "The Somali capital continues to be one of the world's most dangerous places for journalists. "Rageh had received threats in the past and had just returned to Somalia after fleeing abroad for safety reasons. He is the second journalist to be killed in connection with his work in Somalia since the start of the year." Relatives said Rageh was gunned down outside the door to his home in Ma'ma'anka neighbourhood, in the Dharkenley district of Mogadishu, at around 6 pm. The two gunmen shot him seven times in the chest and head before fleeing. Rageh had recently returned to Somalia after several years in Kenya and Uganda. In 2009, he resigned as a Radio Shabelle host and member of the National Union of Somali Journalists (NUSOJ) in order to leave the country after receiving death threats from the Islamist militia Al-Shabaab (http://en.rsf.org/predator-al-shabaab,42476.html). He is the fourth journalist to be killed in Somalia since the start of 2013, but only the second to have been targeted in connection with his journalistic work. A total of 18 journalists were killed in Somalia in 2012, making it the world's deadliest country for media personnel. More information about media freedom in Somalia: http://en.rsf.org/somalia.html. Imprisoned Ethiopian journalist Reeyot Alemu has been named the winner of the 2013 UNESCO-Guillermo Cano World Press Freedom Prize. Accordingly, the Jury took note of Reeyot Alemu’s contribution to numerous and independent publications. She is noted for writing critically about political and social issues, focusing on the root causes of poverty and gender equality. Reeyot worked for several independent media. In 2010 she founded her own publishing house and a monthly magazine called “Change”, both of which were subsequently closed. 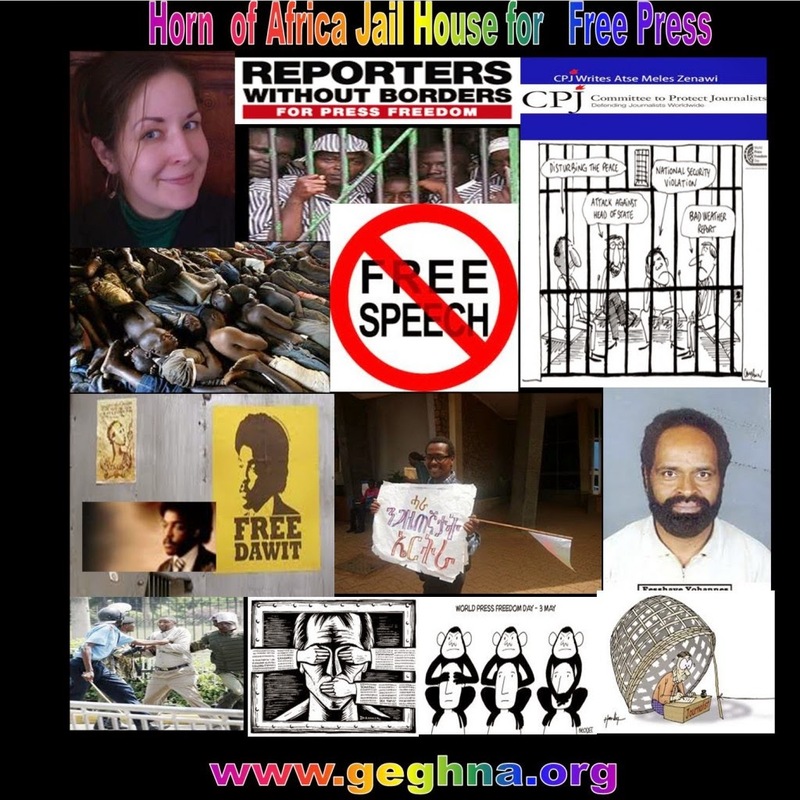 In June 2011, while working as a regular columnist for “Feteh,” a national weekly newspaper, Ms Alemu was arrested. She is currently serving a five year sentence in Kality prison. The UNESCO Guillermo Cano World Press Freedom Prize was created in 1997 and it is awarded annually during the celebration of World Press Freedom Day on May 3, which will take place this year in Costa Rica. Ethiopia is preparing a draft law to regulate Internet, radio and TV. The draft is being prepared by a steering committee constituting the Ethiopian Broadcasting Authority, Ethiopian Ministry of Communications & Information Technology and Information Network Security Agency. The Ethiopia Radio & Television Agency is also participating in the drafting process of the new law. The draft bill is expected to be finalized and forwarded to the Council of Ministers before the end of the current Ethiopian Fiscal Year, according to Leul Gebru, deputy director general of Ethiopian Broadcast Authority. The bill is required to regulate Internet, television and radio broadcasts, once the current analogue infrastructure is transformed to a digital system. A federal agency will also be established to administer the broadcasting network and radio waves, with Ethiopian Broadcast Authority controlling the content transmitted on different channels"
Under the new bill, additional licenses are expected to be issued, including mobile TV broadcasting license,. The International Telecommunications Union (ITU) agreed in 2006, to change all broadcasting frequencies to digital by 2015, with extended period until 2018 for Ethiopia and most African countries. The change to digital will not only require the import of digital televisions, but also 74 additional transmitters, necessary to transmit the extra channels, according to Leul.